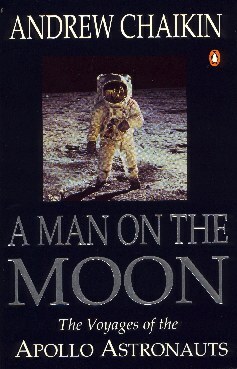 When Tom Hanks started work on his epic TV mini-series From The Earth To The Moon, this is the book he based it on. Chaikin writes with authority based on hundreds of hours of interviews with the Apollo astronauts themselves and transcripts of both the after mission debriefing sessions and onboard voice recorders. His easy style throughout the book makes it not only readable for anyone with a passing interest in this remarkable time for human exploration, but he also provides the facts and information for those who want to use this as a research tool. The book does concentrate more on the moon landing missions, and so if there is one element which does leave the more scholarly reader wanting more, it is in the details relating to the flights of Apollo 7, 9 and 10. There have been a number of versions of this book in both hardback and softback (UK version reviewed). If you are looking to buy it, and have the extra cash available you may want to hunt out a copy of the Time Life boxed set. This version comes in a three volume hardback set, housed in a slip case. This Time Life version is special because it includes a large collection of quality colour and black and white images. If you only ever read one book about the Apollo Moon missions, this is the one.